Dongducheon, South Korea, Shut down the illegal dog meat farms, slaughterhouses and markets. Home / Blog / Dongducheon, South Korea, Shut down the illegal dog meat farms, slaughterhouses and markets. 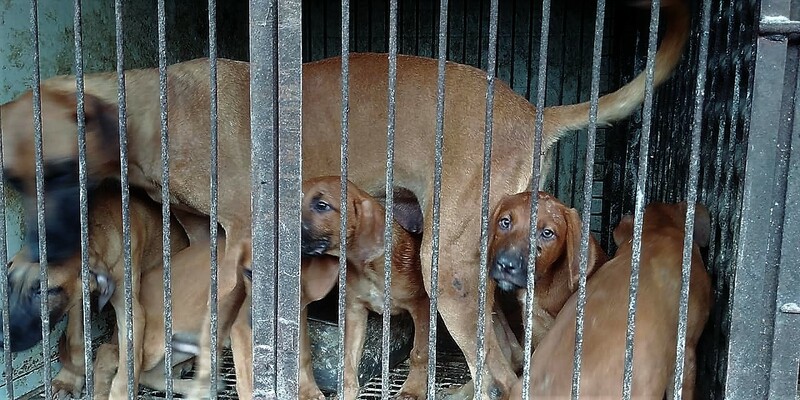 In Dongducheon, there are countless dog farms, slaughterhouses, markets and restaurants where the dogs, who are tortured their entire lives, end up being slaughtered in the most inhumane ways, such as by electrocution, hanging or beating; and then thrown into boiling water – sometimes while they are still alive. In many places, dogs are being killed in full view of other terrified, caged dogs; and this takes place in broad daylight. In addition, many abandoned and stolen former pets end up in this industry, and are subjected to the same cruelty. A Search Engine reveals the sickening scale of Dongducheon’s dog meat demand. The searches resulted in: 33 Health Food Shops; and 21 dog meat restaurants in and around Dongducheon. Even if half of these ‘Health’ Food Shops and restaurants serve dog and cat ‘ingredients’ in one form or another, just imagine how many dog/cat slaughterhouses must be present in and around Dongducheon in order to supply all of these outlets. Please sign petition, call, write and email the Dongducheon Mayor and the City Council TODAY! Subject: Dongducheon, South Korea, Shut down the illegal dog meat farms, slaughterhouses and markets. 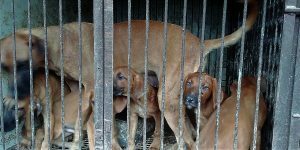 Petition: Dongducheon, South Korea, Shut down the illegal dog meat farms, slaughterhouses and markets. The slaughter of dogs for his/her own consumption is a violation of the Animal Protection Act, Article 10. The intent of the Act is to ensure that no animal is slaughtered in a cruel or revolting manner, and shall be free from unnecessary pain, fear, or stress during the process of slaughter. Therefore, the only humane way of slaughtering dogs would be by euthanasia (lethal injection). All currently practiced methods of slaughter by butchers, farmers and traders excludes euthanasia as a method of slaughter, therefore they are all in breach of this Act. This is also a violation of the Livestock Products Sanitary Control Act Article 7 Section 1 Clause 2. According to the Livestock Products Sanitary Control Act, the slaughter of animals for his/her own consumption is allowed only for the livestock animals that are publically announced as classification of livestock in the Livestock Products Sanitary Control Act and dogs are not classified here. Dog meat restaurants’ sale of dog meat soup made with dog carcasses from an unknown source is a violation of Food Sanitation Act Article 44 Section 1 Clause 1. Uninspected livestock products must not be transported, stored, displayed, sold or used for manufacturing or processing of food for human consumption. This is barbaric and needs to stop. We will no longer travel to your country on vacation unless this stops. Please stop ALL THIS CRUELTY AGAINST ANIMALS NOW!!! Stop eating dogs and cats. Boycott Korea until you stop. emailed and tweeted and petition signed. Please let it finally succeed to end the horrible slaughter of the innocent dogs and cats !!!!! Why does not the president do anything !!?!? !!?! Too bad. It would have worked, if he really enforced the ban despite the other ministers !!!!! This is illegal and unsanitary. There are no magical powers in dog meat. anything for money.